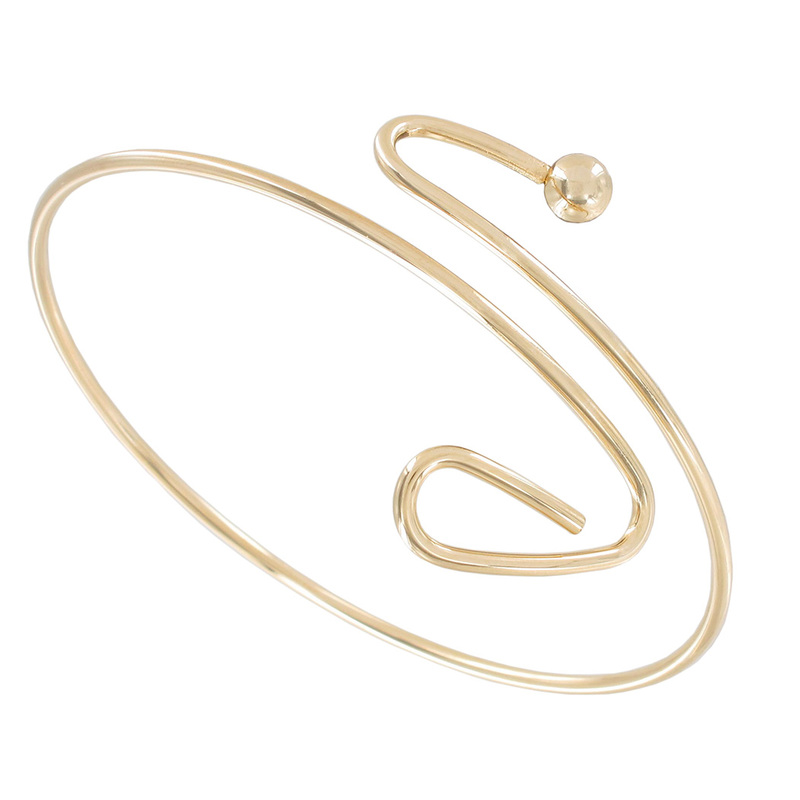 This is a single coiled upper arm bracelet in gold tone. One end is twisted, the other has a gold tone ball. Size is adjustable if bracelet is gently opened. Total length of bracelet is 11" but it can be easily adjusted to fit larger arm sizes. This is our best bet for larger arm sizes. For example, if the circumference measurement of your upper arm is 14", there will just be a gap of 3" between the ends of the bracelets (like a true cuff bracelet). We commissioned this design and the piece was made for us, so we are certain of the origins on this item. This piece was made in a USA wire house and plated at a USA plater. It is finished in gold tone and should not tarnish (as other cheap wire bracelets can.) Remember to treat your costume jewelry well and never put it away damp. A piece of costume left wet over time may very well rust or damage, even this one. The piece is also of higher quality then usually seen, the wire is heavier. A beautiful handcrafted in the USA piece. This item ships boxed.